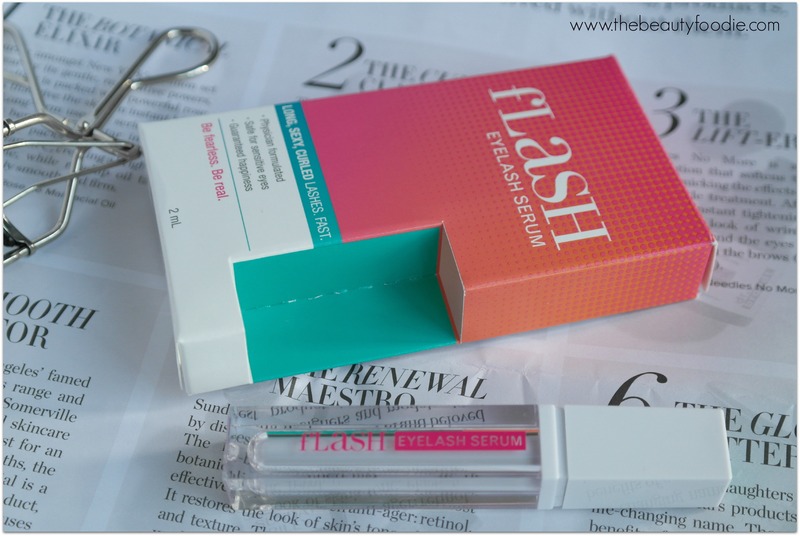 Now I’ve remembered that, lets get into this month’s beauty foodie favourites. 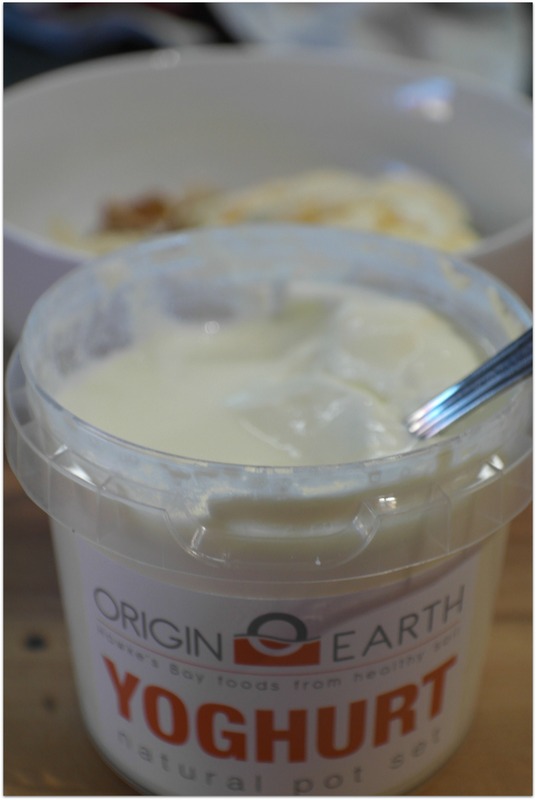 Origin Earth Yogurt: Origin, from the lovely Hawke’s Bay, doesn’t just make fantastic milk, but also this scrummy set-in-the-pot yogurt. Groovy concept, yes, but that’s not just what I like about it. i love that the only additive to their milk is their yogurt culture and the taste: It’s mild, not tart at all and thick and creamy. Now, I’m usually a girl who needs sweetness with her yogurt, but not this stuff it’s just perfect. It’s so good, I have temporarily abandoned my usual breakfast of poached eggs and, instead, I’ve been scoffing this back with muesli and fresh fruit. I’ve seen this for sale in Chantals and Vetro, I’m not sure if it’s at the supermarkets (I’ll let you know). Suffice to say: If you see some, snap it up. I’m off to the Hawke’s Bay Farmers Market this weekend, I feel the need to visit their stall. Price NZ$4 approx (don’t quote me!) 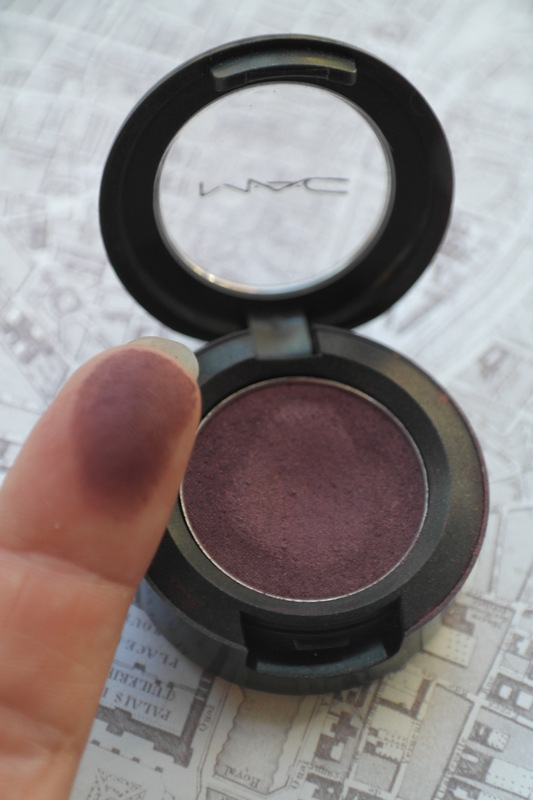 MAC Sketch Eyeshadow: Yip, we jump from yogurt to eyeshadow. Happy days. If you’ve been following my blog for a while you’ll know that I have an informal rule for myself: I can’t wear the same eyeshadow look more than once a week (hey, I have to do all I can to shake up my otherwise boring life). Despite adhering reasonably strictly to this rule I’ve realised lately that Sketch is one of my most reached-for eyeshadows. A deep burgundy matt shade, this is really versatile: Wear it in the crease, outer V, or just as a ‘one colour wash’ all over the lid, blended out up into the crease. If this eyelid placement talk is gobbledygook to you check out this blog post on eyeshadow placement. Sketch is well suited to brown eyes, but it’s especially drop-dead gorgeous on green eyed gals. Price: NZ$38 from MAC. 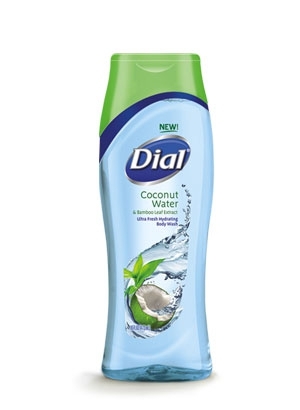 Dial Coconut Water Body Wash: Remember when I had a weekend away in Windy Wellington for ANZAC weekend and I came home with two bottles of Dial body wash that had me hyper-excited? Remember? To jog your memory that was the same shopping trip where I accidentally bought non-matching Chuck Taylor Converse sneakers… Anyway, bugger me days, I can order Dial body wash through Countdown online shopping (which is a tad mysterious, as I haven’t actually been able to find it on their shelves). So naturally, I thought I’d better do some more market research and I purchased this Coconut Water body wash. Now, perhaps my scentbuds are knackered, but I can’t detect any coconut scent in this body wash, but minor detail aside, this smells glorious. Fruity and sweet scented, for sure, but coconutty, nup. Oh well. A little bit like eyeshadow, I don’t buy the same consecutive body wash, but I made an exception for this and we are chopping through our second bottle. The boys like it too, there’s no complaints that this one is too girly. I find it quite a hydrating concoction and at NZ$5.99 my wallet is happy. 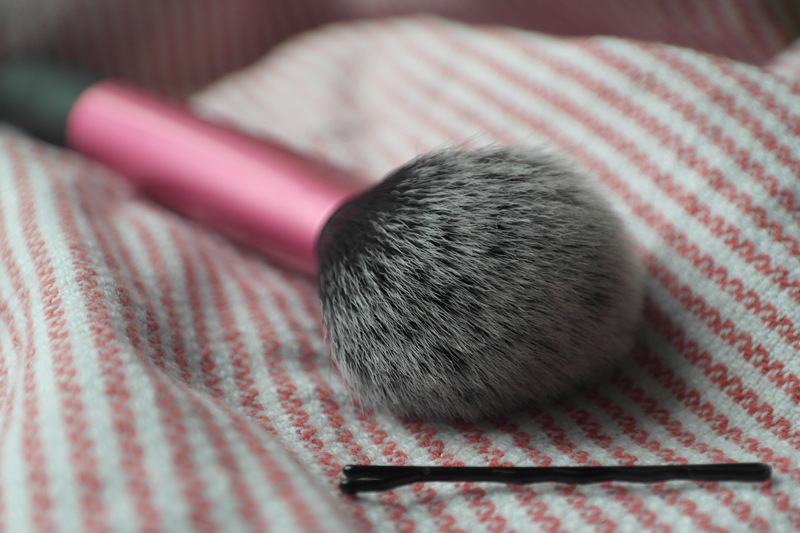 Real Techniques Multi Task Brush: I’ve had this brush for a long time and have always liked it, however I accidentally discovered a new use for it lately and I’ve gone from liking it to positively loving it. Usually I use this to apply a pressed translucent powder to set my foundation, or to apply bronzer and it works a treat. Well, in a bout of complete absentmindedness I picked this up to apply my CC cream: Talk about wowed at the results! It gave an ‘air brush finish’ which was a surprise as the brush is quite large and super soft, which is a complete contrast to the small and dense buffing brush I ordinarily use, Real Techniques’ Buffing Brush. As I prefer a light/sheer coverage on a daily basis I usually wear CC cream or BB cream and I find this brush is a little ripper to blend out these lightweight formulas. The only disappointment with this brush is you can’t buy it individually, only as part of a set. I purchased it with this set (FYI the other brushes are good too, I use the eyeshadow brush to apply eyeshadow to my lid and the foundation brush to apply cheek highlighter). You can also get the Multi Task brush it with this set. If you need to invest in some basic makeup brushes have a ponder on getting one of these sets, you won’t regret it, Real Technique brushes rock my world. Incidentally, http://www.iherb.com is a brilliant website that sells nutritional supplements and an array of ‘healthy natural care products’ (including cosmetics and beauty that isn’t tested on animals and is hypo-allergenic). I hate to think how many orders we have placed with them, but their prices are brilliant and delivery from the US is cheap and speedy. My sporty hubby orders all his sports gels from iherb and we get all our vitamins and minerals here too. Highly recommend!